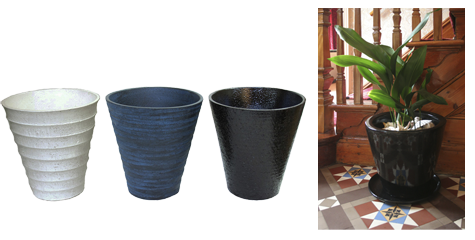 For gardens, and also as decorative pieces for floristry displays, garden centres, offices, modern homes, character homes, interior design, conservatories, contemporary living spaces, etc. 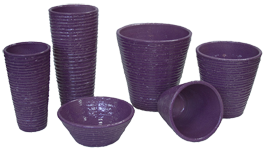 Eileen now represents a Portuguese manufacturer with a large range of beautiful hand-thrown terracotta planters at excellent prices, lovingly made in Portugal, available for bulk purchases. 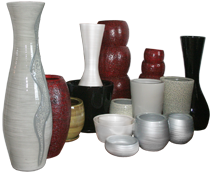 A vast variety of items, shapes, sizes, finishes and colours. 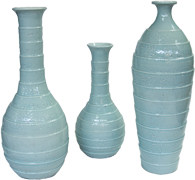 Special shapes and colours can be created to the customer's specifications. 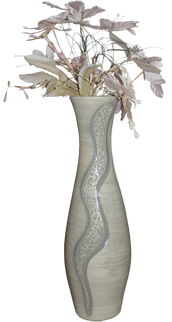 Available with traditional ceramic glaze, or cold-painted & varnished. 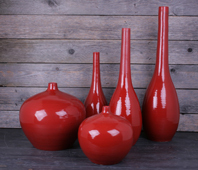 All shapes are available in all colours and textures, glazed or varnished, matt or glossy. Now, both cold-painted and glazed versions are available waterproofed and frost-resistant down to -10 degrees C. (GUARANTEED). The minimum order quantity is only 1 palette. 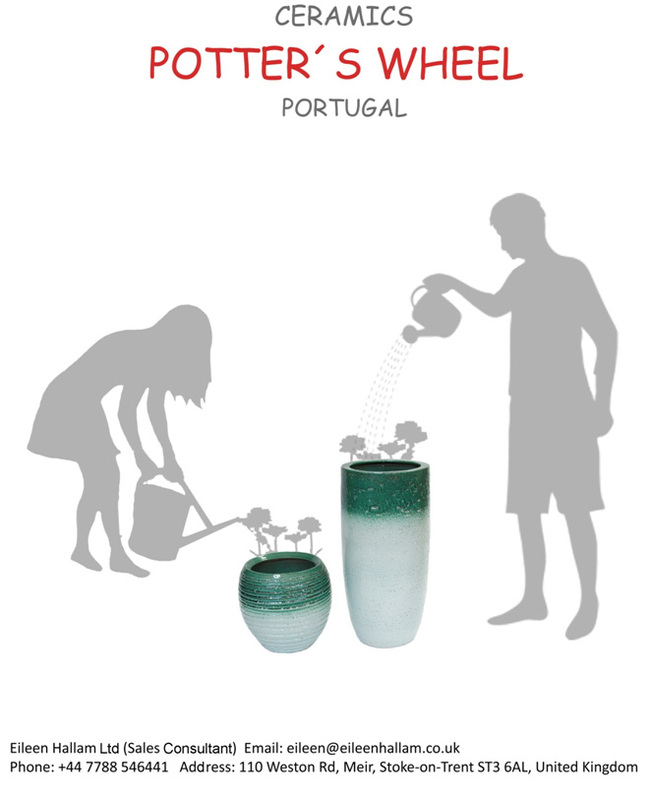 Orders are despatched directly to you from Portugal. 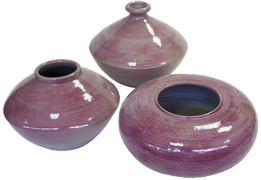 The pots can be glazed or varnished. Now, for the first time, both finishes are guaranteed 100% waterproof and frost-proof down to -10°C. The cold-painted & varnished finish is about 30% cheaper, and the colours are often brighter. 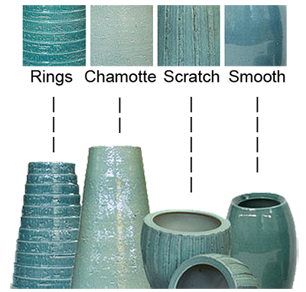 However, the glazed finish will have the traditional pottery look. 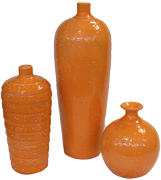 The items below are varnished, but could be supplied glazed. The Texture may be Smooth, Patina, Rustic or Chamotte. The Finish may be Rings, Stripes, Scratch or Dimples. 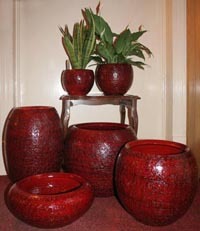 The pots can be matt or glossy. As an example, here is the Rock Black Basalt Collection. 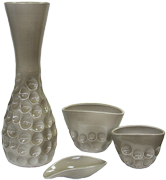 The Texture is Patina, and the items are shown in both matt and glossy versions. 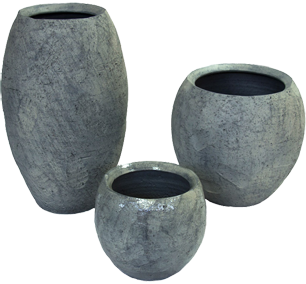 Pots are available in the following sizes (diameter x height): 14x14cm, 17x17cm, 20x20cm, 25x25cm, 30x30cm, 40x35xm, 55x45cm and 65x55cm. 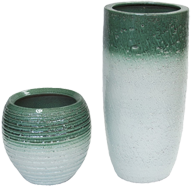 Vases are available in the following sizes (diameter x height): 20x40cm, 20x50cm, 25x70cm, 30x90cm and 40x100cm. 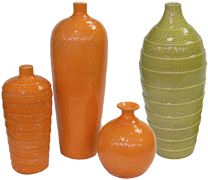 Bottles are available in the following sizes (diameter x height): 20x40cm, 20x50cm, 25x70cm, 30x90cm and 40x100cm. 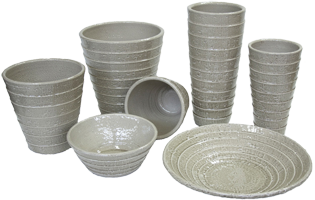 Bowls are available in the following sizes (diameter x height): 25x10cm, 30x12cm, 35x15xm, 45x20cm, 55x20cm and 65x25cm. Plates are available in the following sizes (diameter x height): 40x10cm and 45x10cm. Boats are available in the following sizes (height x length): High Boats 20x30cm and 25x40cm; Little Boats 8x40cm. 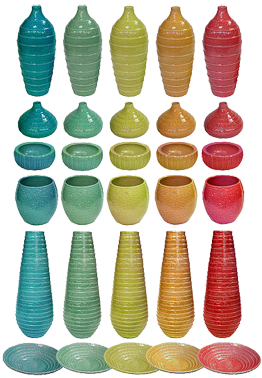 Bulbs are available in the following sizes (diameter x height): 20x30cm and 25x40cm. You can create your own exclusive collection! Your own imagination is the only limit! 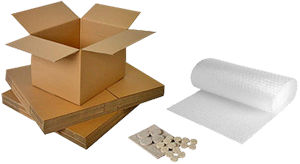 Each piece is individually wrapped in plastic, then boxed. All pieces have 4 felt pads underneath, to protect furniture and flooring.